1) What is the highest EF-Scale rating a tornado has ever received in North Carolina? B. EF-4 is the correct answer! - An EF-5 tornado has never been reported within the state boundaries of North Carolina. Per the "Tornado History Project" online, North Carolina has seen 12 EF-4 tornadoes, with the most recent occurrence on May 5th, 1989. However, the November 27th, 1988 EF-4 tornado is arguably the most significant tornado in NC history as it resulted in 4 fatalities and 154 injuries in addition to causing 50-500 million dollars of damage along an 83 mile long path. That tornado's maximum width was about 400 yards, and it traversed Wake, Franklin, Nash, Halifax, and Northampton counties. 2) The Enhanced Fujita Scale was adopted as the official measurement of a tornado's strength in the year ______? *Hint: The Greensburg, KS tornado was the first EF-5 tornado! D. 2007 is the correct answer! - The original Fujita Scale, or F Scale was introduced in 1971 by Tetsuya Fujita at the University of Chicago. The goal of the original F Scale was to gauge the intensity of tornadoes by analyzing the degree of damage done by a particular tornado. However, the original F scaled was replaced in 2007 by the EF-Scale, or Enhanced Fujita Scale which primarily adjusted wind speeds and increased the number of damage indicators. For instance, an F5 tornado on the original F-Scale would have clocked in winds ranging from 261-318 mph. Because those wind speeds are so ridiculously unlikely to occur in a storm, the EF-Scale was implemented, discerning an EF-5 tornado with winds of 200+ mph. Regardless of the EF-Rating given to a tornado, all tornadoes are extremely dangerous. 3) According to the Enhanced Fujita Scale, an EF-1 Tornado generated wind speeds in the range of? C. 86-110 mph is the correct answer! - On the EF-Scale, winds ranging from 86-110 mph are rated EF-1 strength. Generally, EF-1 tornadoes make up about 31% of all tornadoes that occur. 4) Which tornado was the last OFFICIALLY RATED EF-5 tornado to impact the United States? 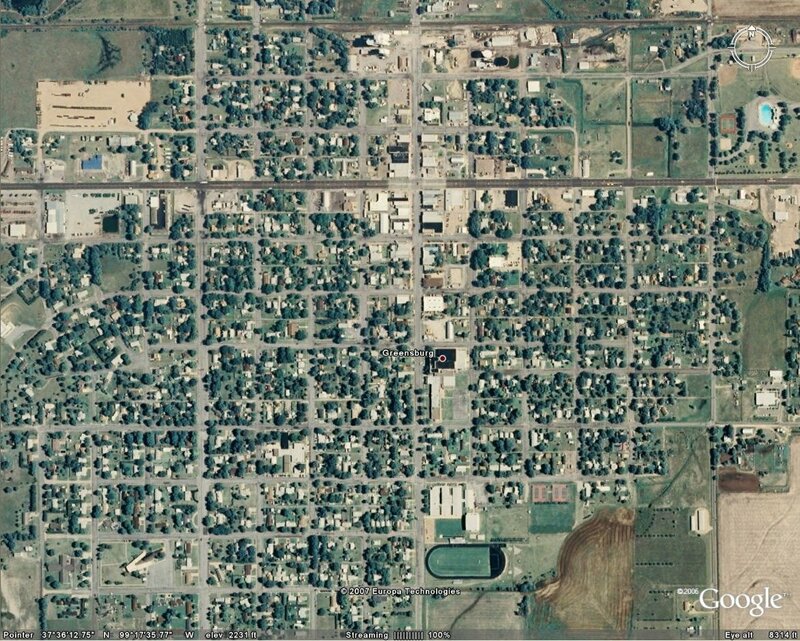 A. Moore, OK (2013) is the correct answer! - El Reno, OK (2013) was rated an EF-3, Tuscaloosa, AL (2011) was rated an EF-4, and Vilonia, AR (2014) was rated an EF-4. This goes back to how the EF Ratings are assigned - by damage. The El Reno tornado was indeed the largest tornado in U.S. History with a maximum width of 2.6 miles, and 295 mph winds were recorded on a mobile doppler radar, but the tornado did not do damage when it was at that strength. Staying consistent with how tornadoes have been rated for decades, the maximum extent of damage done by El Reno was EF-3. Likewise situations for Tuscaloosa and Vilonia. 5) Since 1950, how many F5/EF-5 tornadoes have impacted the United States? C. 59 is the correct answer! - Only 59 F5/EF-5 tornadoes have impacted the United States since 1950. This may seem like a small number, but it is very, very rare to observe an EF-5. 6) On average and with recent data, how many tornadoes hit the United States annually? B. About 1,400 is the correct answer! - Okay, this one may be a tiny bit controversial, because it depends on over what period of time you are taking an average of. I specified with "recent data" so if we look at the past decade and a half, the annual average cranks out to be about 1,400. That's a lot of twisters! 7) Which of the following tornadoes was the deadliest? D. Tri-State (MO/IL/IN) is the correct answer! - Unfortunately, 695 lives were claimed by this tornado. Fatalities for Moore, OK totaled to 24 people, the Joplin, MO tornado claimed 158 lives and the Greensburg, KS tornado killed 11 people. You may have guessed this one based on the year, which would be a great logical guess. In 1925, there was no organized warning system for tornadoes, let alone the fact that probably millions of people did not even know what kind of weather was coming when. When you mix a deadly tornado with absolutely no warning, disaster ensues. 8) Which single month had the most confirmed tornadoes? D. April 2011 is the correct answer! - April 2011 was the most active month for tornadoes on record with 875 confirmed tornadoes. May 2008 had 460 tornadoes, 267 tornadoes were reported in April 1974, and May 1999 saw 310 tornadoes. 9) According to official Storm Prediction Center records, how many confirmed tornadoes struck the United States between January 1, 2000 and December 31, 2015? C. 20,709 is the correct answer! - Trust me on this one - I added up the annual tabulations of tornadoes from the years 2000-2015 from the Storm Prediction Center's Storm Reports Archive. 10) In the image above, which of the letters indicate the location where a tornado would most likely be? D. D is the correct answer! - In this particular image, the letter D represents the debris ball being picked up by radar. Although you would really have to look at correlation coefficient radar data to confirm whether debris was being lifted into the air, on this image, D is the most likely location for a tornado to be. You may have heard that tornadoes show up after the heavy rain stops, and that there is a calm break in storm activity before the tornado arrives. In well-defined supercells like the one picture above, that is exactly the case. This storm would be moving either east or northeast, or a combination of both, and locations would first be under the rain core, followed by the calm, dry spell caused by the inflow notch, and the the tornado would be behind that. Email me or Facebook message me for more information. C. Funnel Cloud is the correct answer! - THIS IS NOT A TORNADO... YET! A tornado is a rotating column of air that is in CONTACT with the ground. If there is no evidence of rotating winds on the ground i.e. dust being kicked up underneath the funnel, trees violently swaying, flying debris, then it is not a tornado yet. If you were to report this as a tornado to the NWS, it would be misleading. You would need to report this as a funnel cloud and watch it very very closely. 12) What is the EF-Scale rating of the tornado pictured above? D. This is a trick question is the correct answer! - Once again I reiterate: tornadoes are rated on the EF-Scale according to the highest degree of damage observed in the tornado's path. It is incorrect to say, "Wow! There's an EF-5 on the ground!" Not only does that send people into a frenzy, but it may not actually be that strong. Instead, a more accurate statement would be, "There is a large tornado on the ground doing what looks to be EF-3 damage." As I previously stated, all tornadoes are dangerous no matter their EF-Scale rating or what they look like. How good is your photographic memory? Match each tornado by its image with the letters below, and the click below to see how you did! Letter A should be easy!